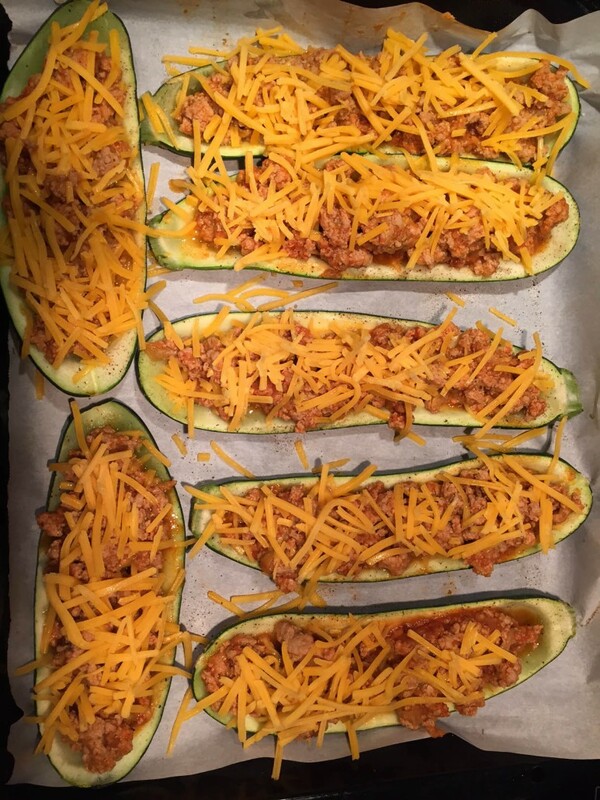 These yummy zucchini “boats” are stuffed with seasoned ground meat, topped with shredded cheese and baked in the oven until the cheese is melted! It’s hard to resist these mouthwatering stuffed zucchini – the presentation is so cute and unique! 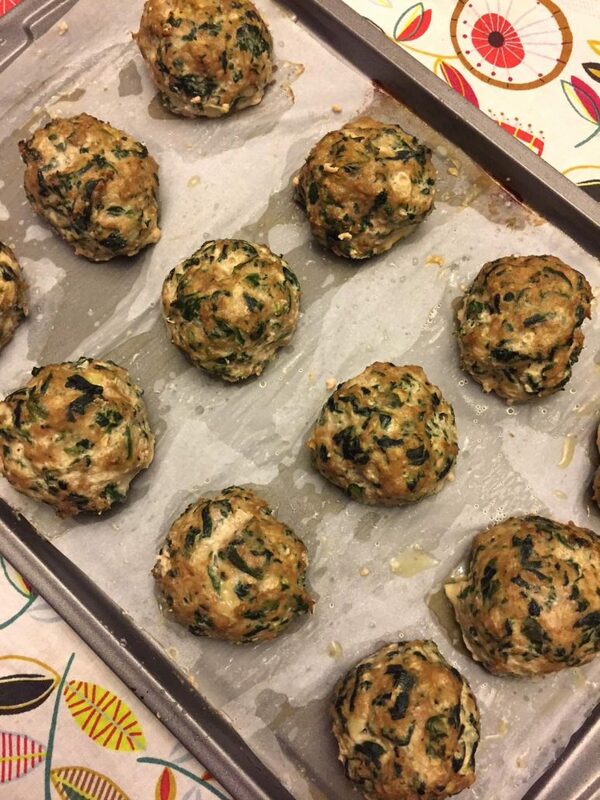 Plus they are an awesome low-carb and gluten-free dinner option! Every country has some version of stuffed vegetable dishes that were invented many centuries ago. It shows that great minds think alike, and stuffing vegetables is a great way to cook and serve yummy dinners! Take a look at the Russian stuffed cabbage rolls, Mexican stuffed chili rellenos, Mediterranean stuffed grape leaves, and of course the universal favorites such as stuffed peppers and stuffed mushrooms – stuffed vegetables rule! This recipe uses zucchini as a stuffing vessel. 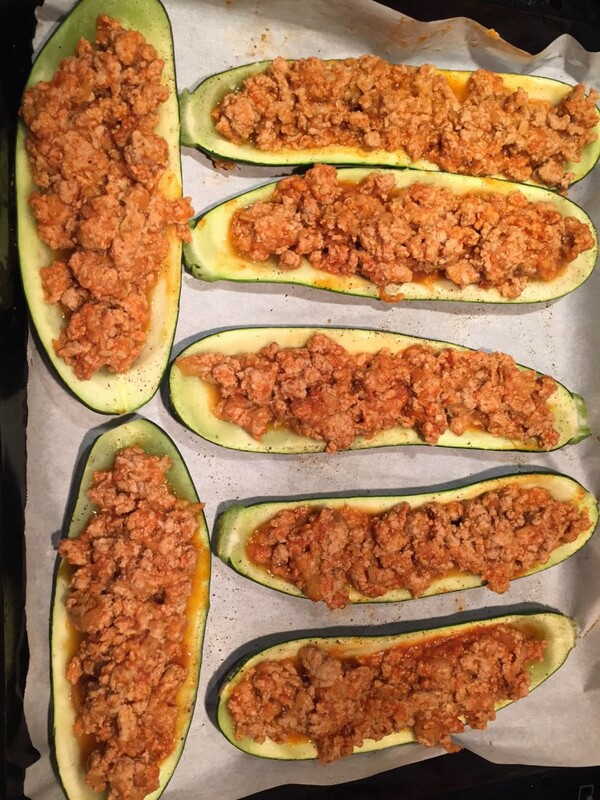 Zucchini is scooped with a spoon to be shaped like a boat, and stuffed with ground meat that is seasoned with garlic, tomato sauce, salt and pepper. 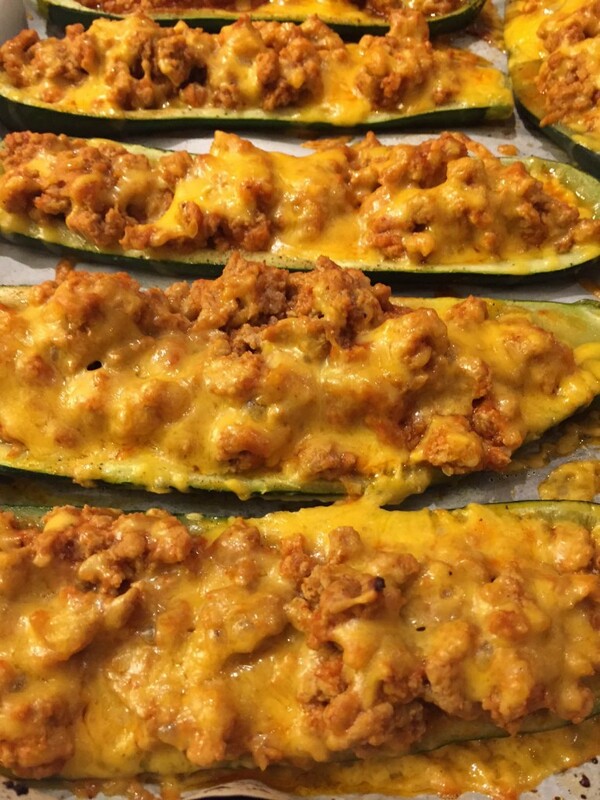 Shredded cheddar cheese is sprinkled on the top, so when the stuffed zucchini boat bakes in the oven, the cheese melts into hot gooey deliciousness! Zucchini boats are a healthy dish that is low-carb and gluten-free. 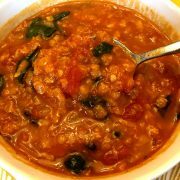 In doesn’t include any grains, so if you are watching your carbs and gluten intake, this is a perfect dinner! 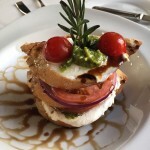 To save on calories or to make it paleo, just omit the cheese and you are good to go! 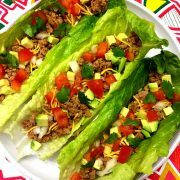 You can also use any kind of meat for this recipe – feel free to substitute the beef with ground turkey or ground chicken. You can be really creative on what you put in those yummy zucchini boasts – experiment away! 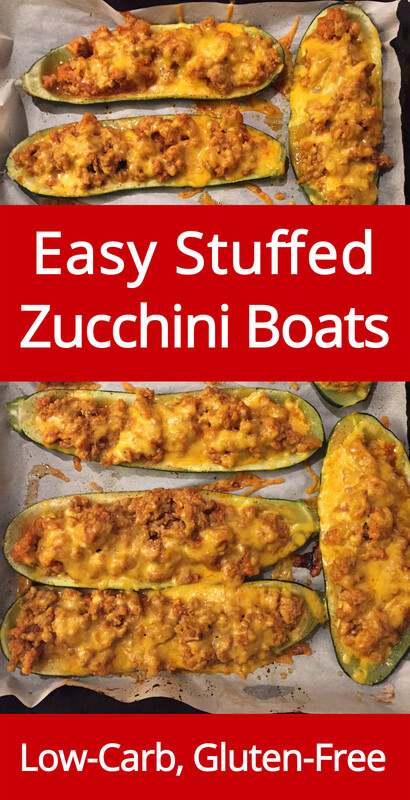 Another awesome thing about these stuffed zucchini boat is that they are a true one-dish meal. The main dish, the side dish, the vegetable – everything is included! The zucchini boats make a complete dinner using just one easy recipe, and the less work for you, the better! Bake in the oven until done, and dig in! Bake the zucchini boats on the BOTTOM shelf of the oven, so the cheese doesn’t burn. 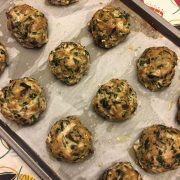 Turkey Spinach Keto Meatballs – these lowcarb meatballs are so healthy and taste amazing! Homemade Zucchini Chips – make your own lowcarb chips from zucchini slices! 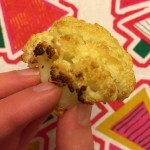 No food dehydrator needed, you bake them in the oven! Parmesan Garlic Zucchini – baked in the oven to perfection, it’s like oven fries in a zucchini form! 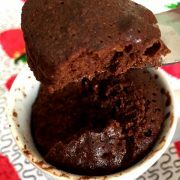 Best Ever Keto Bread – this amazing mug bread has virtually zero carbs and tastes like real bread! 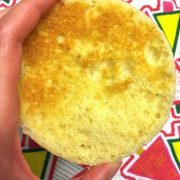 It toasts beautifully! Cauliflower Fried Rice – once you try this cauliflower fried rice, you’ll never miss the real one! It’s so healthy and tastes amazing! These delicious baked zucchini boats consist of zucchini stuffed with ground beef and topped with melted cheese - yum! It's a perfect low-carb and gluten-free one-dish meal, and it's super-easy to make! Wash the zucchini and cut them in half lengthwise (you don't need to peel them). With a melon baller or a spoon, hollow out the zucchini, making it into a shell. Set aside the insides of the zucchini. 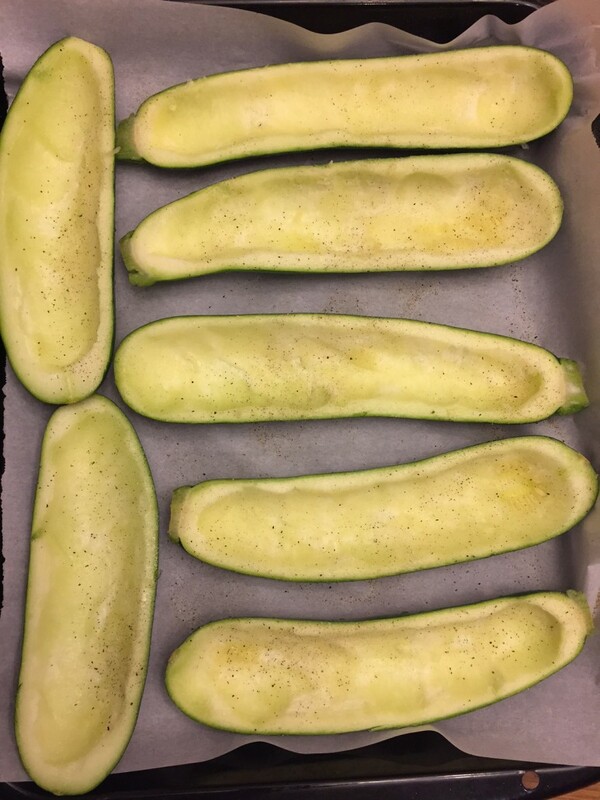 Line the baking sheet with parchment paper and put the zucchini shells on it (hollow side on top) in a single layer. Chop the zucchini flesh (from inside the zucchinis). Heat ½ tbsp oil in a non-stick frying pan on a medium-high heat. Add the chopped zucchini flesh and cook, stirring every 1 minute, for 5 minutes. Remove zucchini from the frying pan (if there is liquid released, strain it and discard the liquid). Heat another ½ tbsp oil in the frying pan on a medium-high heat. Add the beef and cook, stirring every 1 minute, for 5 minutes, or until cooked through. Add cooked chopped zucchini, garlic, tomato sauce, ½ tsp salt, ¼ tsp pepper and mix. Remove from heat. Sprinkle the zucchini shells on a baking sheet with ½ tsp salt and ¼ tsp pepper. Divide the beef mixture evenly between the zucchini shells and stuff them. Sprinkle the shredded cheese on top of the beef mixture. 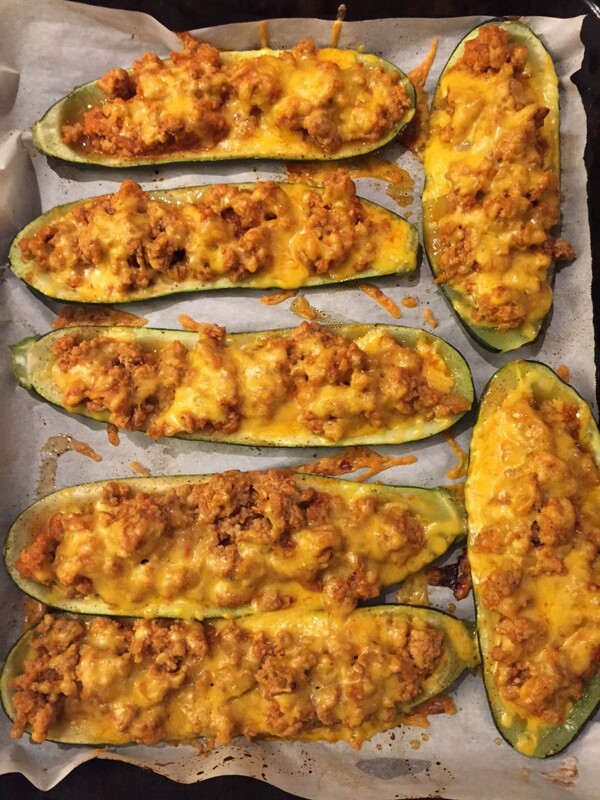 Put the stuffed zucchini boats in the oven on the bottom shelf (so the cheese doesn't burn) and bake for 35 minutes. 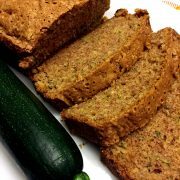 Easy Zucchini Bread - Best Zucchini Bread Recipe Ever! Zucchini is a great vegetable for stuffing! 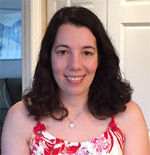 Hope you try this recipe – you are going to love it! Try this with ground chicken with buffalo sauce and blue cheese. This sounds awesome, I love buffalo chicken and blue cheese! I’m sure it would be amazing as stuffed zucchini filling!